Antiques are making a remarkable comeback in home decorating and it seems as if this time they are here to stay. Mixing traditional with contemporary is the newest home styling trend. However, not everyone knows how to adorn the interior with chick antiques. Regardless of how hard it may seem, decorating with antiques is not rocket science. 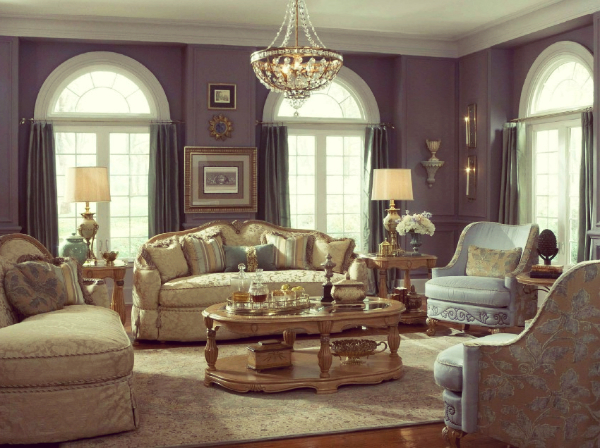 Here are few tips that can help you master antiques decorating. Plan Ahead – Buying antiques does not differ much from planning your vacation. You will certainly not just drive off hoping for the best, same applies to antiques. Take time to determine which antiques would best fit your current home décor. Also, do you want to give a room a full antiques makeover or would simply love to highlight certain piece of furniture or an area? Determine your goals. Group In Odd Numbers – The first thing to know when it comes to decorating with antiques is grouping them in odd numbers. You may wonder why. Simple. It just looks better. If you take a closer look at your furniture pieces, an armoire for example, you’ll see that it has an odd number of shelves. Imagine it with even number of shelves. Not as appealing, right? Do the same with your antique pieces – group them in odd numbers to create a better look of the room. Choose One Historic Period And Stick With It – This is the common mistake. People mix antique pieces from different historic periods believing the room will look more luxurious. Well, this is a big ‘no-no’. Choose the antiques from the same period to create a flow. Use Your Imagination – Don’t just toss your antiques together. Be creative when displaying them. You can use antiques to display antiques. For example, use an antique chest to display an antique bowl; or use a dresser to showcase the antique mirror. Be creative in finding ways to best display and highlight your antiques. Mix Old And New – Mixing traditional with contemporary is one of the most popular home decorating trends these days. Therefore, do not be afraid to mix your antique pieces with modern furniture. This way you will not only have to spend a fortune on matching antique pieces. Also, mixing old and new adds certain glamour, richness and uniqueness to the room. This entry was posted in Antiques, Home & Decor and tagged antiques, antiques decoratig, antiques decorating tips, Antiques Home Decorating Tips by australiaonline. Bookmark the permalink.